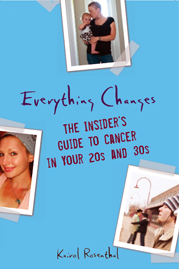 Everything Changes – The Guide to Young Adult Cancer » Praise for Your Favorite Healthcare Professional? Tags: "doctor patient communication", "young adult cancer"
I’m a huge fan of my neurosurgeon. When I found out that I had a brain tumor, we interviewed two to decide where to have my surgery. #1 was brilliant, top of his field…and a total jerk. He kept talking about death and stroke, which totally freaked me out. It was literally a five minute interview and that was all he needed for open brain surgery. He wasn’t willing to listen to any other symptoms and wanted to be very aggressive immediately, which I wasn’t ready for. It was very depressing to talk to him and I’m a realist! Surgeon #2 was a total switch. He was kind, almost pastoral. He listened to all my symptoms, and then realized that they didn’t all match up. So, he sent me to a specialist, who diagnosed me with a side problem. Turns out, my tumor had no symptoms, and with minor medication, the problem went away. Of course, the tumor had to come out, but the other surgeon never stopped to listen to find out what was going on! Because #2 was slower (in a safe situation), he had more data to go on, which is safer for me as a patient. Now, after surgery, #2 knows that the tumor didn’t grow in 3 months and might not for a long time. Surgeon #1 would have never known that and I might be facing MUCH harder decisions right now. Like I said, I’m a huge fun! I have a great story about one of my doctors. I use sports or humor to break the ice with people, especially my doctors. My surgeon is a big Ohio State fan, and I am a University of Michigan fan. We give each other grief each time I have an appointment. I usually wear my Michigan shirt when I see him. He is a great guy. My port surgery, which should only have taken about a half hour turned into a long day. I showed up at 10am, surgery was supposed to be at 11 or so. It got late and I was waiting in pre op for quite some time. At 2pm I saw him walk by and I said “Hey what did you do forget about me?” He apologized, he was also on call that day and had a cardiac emergency. He said “wow you must be hungry” because as you know when you have surgery you are not supposed to eat for at least 12 hours before hand. I said “Yeah you owe me a pizza” He told me I was next up for surgery. Right before the nurse put the anasthesia mask over my face she said ok the doctor is ordering you pizza he will be right in. I thought well that is nice pick on someone as they are going under. When I came to there was a deep dish pizza waiting for me in recovery. You have to be your own advocate. If you don’t like your doctor, find another one. 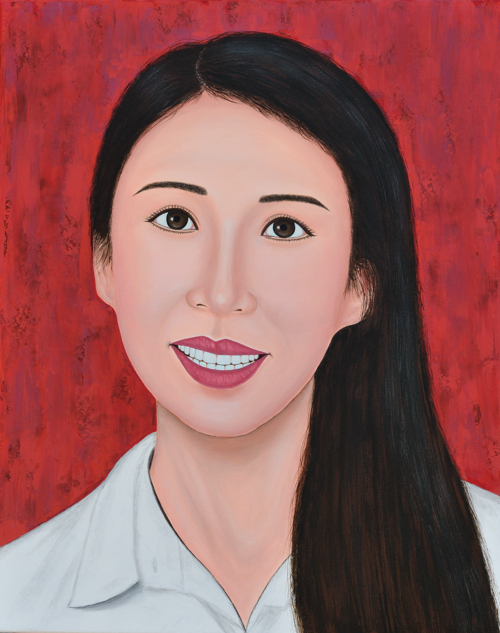 I have been fortunate throughout my cancer experience that I have gotten along with all of my doctors. My first surgeon, who took over my case from the crap endo I was seeing. She saw me personally until squeezing me in with an endo she trusted. She was the one who told me it wasn’t a bad idea to drink a bit and watch a sappy movie and to just cry. And when I see her she hugs me. I don’t think a lot of surgeons hug. My second endo talked to me like a decent human being, got me involved in thyca, and just all around interacted with my life. There was the voice doctor who pelted me w/ a stress ball during a stress ball fight him and his residents were having in the office. … The eye doctor who sat and talked to my mom about my turtles for half an hour after I was done with surgery. … The other eye doctor who was so hot, he may have been the worlds worst doctor but I’ll never know because of how hot he was. My third endo, who, upon feeling I had an odd lump in my neck manipulated the bureaucracy that is UPMC to get me to see a radiologist the next day, and then got me in to have it tested the day after that. As far as I’m concerned, that is essentially moving mountains. And most of all, the nurse practitioner who found my cancer to begin with. She became like a second mom. I have to keep her updated regularly on whats going on with my life, and she’s even come out and had breakfast w/ my family. My oncologist, hands dow. He is a constant stream of energy and always on the go that it can sometimes be misinterpreted as abrupt. But he spends as much time as you need to have all your questions answered. (You quickly learn as a patient of his, that the reason why you wait so long in his waiting room is because he’s giving you his undivided attention). He has joked with me when things are going well. He has talked to me like an adult when there was reason for concern. And somehow he’s the only person who can calm me down when I’m in the middle of a hysterical fit. I will never forget the smile on HIS face when he saw me walk down the aisle on my wedding day! Throughout my entire experience, what surprised me the most was how much kindness and compassion I experienced from the healthcare professionals I encountered. My primary Dr who didn’t ignore my seemingly inocuous symptom and ordered the chest xray that revealed my lung tumor. My pulmonologist who has only ever had my best interests in mind when deciding that I needed to be treated at MD Anderson and who pulled whatever strings he could to get me there asap. My amazing and kind cardiothoracic surgeon who gave me his personal cell phone number after I paged him while on conference in Hawaii. I gave this number to every ER Dr I saw when the scary post-op complications began. My internal medicine Dr who sat patiently through my freak out for having to take blood thinning medications and talked me through and out of my fear. There are so many nurses, nurse practitioners, radiation therapists, and staff members who were simply kind and respectful and understanding. I can’t say that there were never any who weren’t but there have been an overwhelming number of positive experiences for which I am quite grateful. Each of these Drs have used not only their medical expertise and knowledge to save my life, but their ability to see me as more than a cancer diagnosis. The multitude of overworked and under respected phlebotomists who were able to get blood from the proverbial stone. I’m not an easy stick in the best of circumstances and I love each and every one of them. Like Robin and others, I’ve been blessed with a string of terrific medical professionals both at home and in NYC. And I try to make sure they know how much I appreciate them. I did a similar post on my blog where I thanks each of them, by name. But there are some people I’ll never be able to reach to thank. Wwo of them are Susan and Joel, who were the surgical fellows assigned to my colorectal surgeon and to my case for my recurrence surgery in 2008. I saw one or both of them every day, twice a day, for the 28 days I was in the hospital. Susan woke me up in recovery with the words ‘you still have a bladder’ (she knew that I hadn’t wanted a full pelvic exenteration and dual ostomy going in, and made sure I knew they’d managed to preserve my bladder function.) We laughed, we joked, we argued, and then when I was discharged, they were gone – off the CRC rotation and on to their next assignments. But they made what could have been a hospitalization gone horribly wrong bearable, and never, ever let me feel as if it was me against the hospital. They actively worked to resolve issues and made me feel like a well-tended patient – and they’re gonna be great surgeons in their own rights. My mom’s oncology nurse was very kind and patient and really good at her job, if my mom had any questions about what my mom thought were side effects of the treatment, she brought them up with Ana and if something was wrong, right away my mom saw her oncologist. Ana was the greatest and treated my mom and me as her caretaker as people, not numbers or anything else like that. My mom’s oncology nurse was truly the best, she even returned my call after I left a message that my mom had died. I love my endocrinologist. He respects my personal preference for straight talk and information. He answers all my questions without rushing. One Friday afternoon I was the last patient and the whole office couldn’t go home until I left, but I never knew that I was essentially holding them all up until they locked up as I left. Neither he nor his staff (who are great too) acted rushed or hurried or impatient in any way. My primary care doctor is great. She is often rushed, unfortunately, and her office staff isn’t the best. But she listens to me in a respectful way. She never brushes me off…if I say that something’s off with my body, she believes me enough to look into it (and not just dismiss it as an unfounded concern). I’ve had a lot of great doctors, nurses and techs over the years. Right before I was being put to sleep for surgery a couple of years ago, one of the surgical nurses put her hand on my cheek. It was the kindest gesture I’ve ever experienced. It completely calmed me and I’ll remember it forever. The bad experiences seem to stand out because we’re all pretty vulnerable when it comes to our health care. It’s easy to develop a fortress mentality, and it can take a lot more work to actively seek out and recognize the times when things go well.